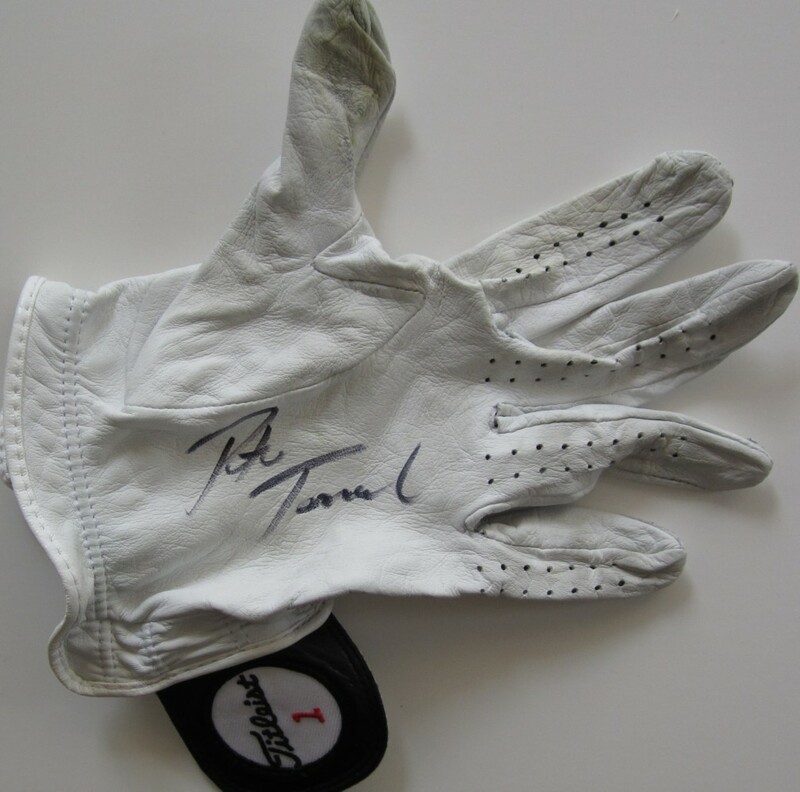 Tournament worn Titleist golf glove obtained directly from PGA Tour player Peter Tomasulo after the final round of the 2013 PGA Tour Farmers Insurance Open at Torrey Pines, autographed in black marker by Tomasulo. Shows obvious use and wear. Obtained in person. With certificate of authenticity from AutographsForSale.com. ONLY ONE AVAILABLE FOR SALE.